Rear-end crashes can range from fender benders to complete demolition. Some people walk away from total losses. Others suffer severe life-altering injuries from seemingly minimal impacts. If you are involved in a rear-end collision and you are hurt, then you should get medical care as soon as possible and seek out the advice of a Miami Personal Injury Attorney. Our Miami Car Accident Lawyers at the Wolfson Law Firm can help you. Our personal injury team has been helping Floridians since 1963 in all types of personal injury cases including rear-end crashes. We have seen the effects on our clients and what an unexpected injury can do to a family. We take our role as an advocate for personal injury victims and their loved ones very seriously. The difficulty with many car crashes is that often there is no blood or bruising and other people think that you are not injured. On top of that, the insurance companies have been carrying out a campaign called “tort reform” which is directly targeted at making the personal injury victims out to be the bad guys. People who make claims are the ones causing everyone’s insurance rates to go up. Their personal injury attorneys are just as bad if you listen to the insurance companies. Why do they do this? It’s simple. Money. Our Miami Personal Injury Attorneys are ready to fight for you. Our Car Accident Lawyers in Miami will aggressively represent you and your loved ones and do our very best to make sure you receive full, fair and complete compensation for your injuries. Just call us at (305) 285-1115 for your free consultation. One of the most important parts of our job as your Miami Car Accident Attorney is to help you navigate through the medical treatment and bills. We work to make sure your bills are paid and for a fair price. Our personal injury team tracks your medical bills and expenses so that you are reimbursed fairly when your case resolves through a settlement or jury verdict. 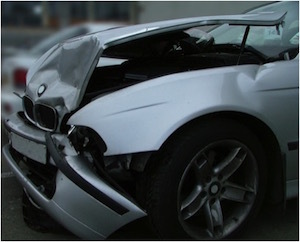 The sudden and unexpected nature of most rear-end collisions does not allow the victim to brace themselves for impact. Sometimes the driver will see the accident about to happen and then they tense up and grab the wheel. The force of the impact can cause injuries to the shoulder, fingers, hands, wrists and arms. These injuries can even happen with a seatbelt on or even the explosion of air bags. The word “whiplash” is the term that the tort reform loving insurance companies have successfully used to minimize car accident injuries. Now it is used as a punchline – unless it happens to you. What happens in real life is not funny at all. Your neck has a normal range of motion. If you are forced to extend beyond your normal range because of a rear-end impact it is called hyperextension. When your muscles and tissues are extended beyond normal limits, tears can occur. Think of a sprained ankle. If you have neck pain after a rear-end car accident you should get medical care as soon as possible. You might have a sprain and strain of the neck or cervical spine. You might also have a worse injury then you know. If you have a herniated or bulging disc in your spine, you will need extensive medical treatment and may ultimately need surgery. Your low back is called the lumbar spine. The force of an impact in a rear-end car crash can cause severe and life-threatening injuries. Sometimes because of adrenaline and the shock of an accident you may not even realize that you have a lumbar spine injury. Untreated these spinal injuries can result in surgery, paralysis or worse. No one should fake an injury to make money. But at the same time, there is no need to “tough it out” either. If your back doesn’t feel right after a car accident, our Miami Personal Injury Lawyers strongly recommend that you see a doctor and get checked out. Even if you are wearing a lap belt or seatbelt you can still get serious injuries in an rear-end crash. Bruising and lacerations can be caused by the very seatbelts that saved your life. It is also possible to develop nerve injuries from the entrapment of nerves in the locations where the seat belts restrict your movement. One such condition that can be caused by a seatbelt is meralgia paresthetica (also referred to as Bernhardt-Roth syndrome) which can cause numbness and tingling in the outer thigh. The symptoms come from an injury to the nerve that extends from the thigh to the spinal column. Facial fractures can result from rear-end car accidents. Our Miami Personal Injury Lawyers have represented clients with broken noses, fractured jawbone and cheekbones. Retinas can also become detached. Jaw injuries are especially tricky. In much the same way as your spine can be stretched beyond its normal limits, your mouth can open to an unsafe hyperextension resulting in a permanent injury to your jaw. An injury to the jaw can include what is called a TMJ (temporomandibular joint injury) which may make it difficult to open and close your mouth. Sometimes a jaw will lock from a TMJ injury from a rear-end accident. TMJ injuries may need months of treatment or even surgery. Head injuries can be the biggest hidden result from a rear-end collision. Some people get cuts and lacerations that require medical treatment. Those are easy to spot. But if there is a small yet significant injury to your brain, the symptoms may not become clear until sometime has passed. These are referred to as Traumatic Brain Injuries (TBI) and require a team of doctors to diagnose and treat. Even a small TBI can have a profound effect on your quality of life and your ability to make a living. Our Miami Serious Injury Lawyers strongly recommend that you tell your physicians all of your symptoms. If it isn’t important, the doctor will tell you. Better safe than sorry. 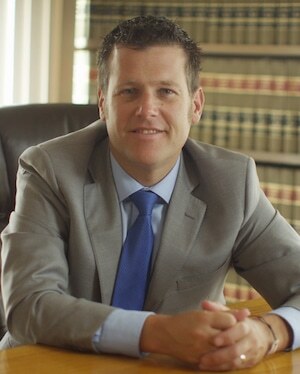 The Wolfson Law Firm has represented rear-end car accident victims since 1963. Our managing attorney is Jonah Wolfson. He is a former Miami Beach City Commissioner who served his community for eight years. He is also a bilingual personal injury attorney in Miami who enjoys serving his former constituents and current clients in English and Spanish. Jonah and his team of professionals are ready to help you and all you need to do is call (305)285-1115 to get started on your road to recovery from your car accident. Our law firm has serves personal injury clients from all over Florida including The Roads, Miami Gardens, Allapattah, Weston, Coconut Grove, Pompano, Aventura, Hollywood, Dania, Pembroke Pines, Wilton Manors, Florida City and throughout Florida.